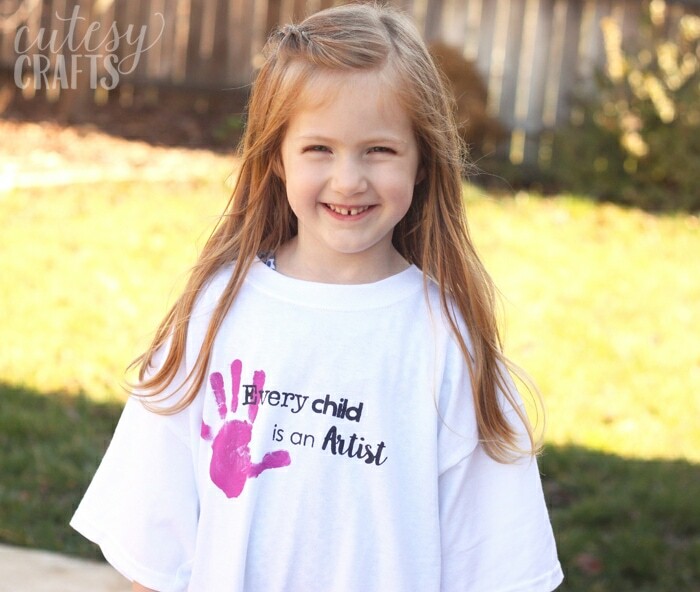 Leah just had her 4th birthday, and she requested an art party. 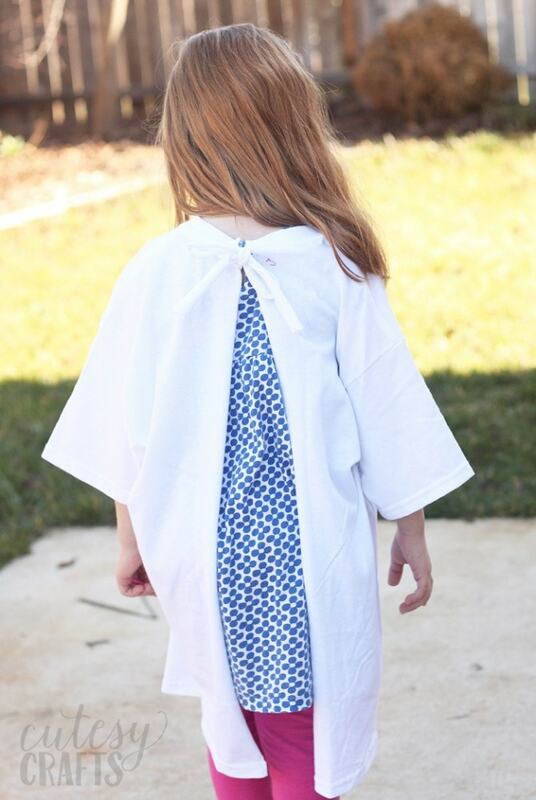 I love to make handmade party favors for the kids, so I decided to make some art smocks to protect their clothing. 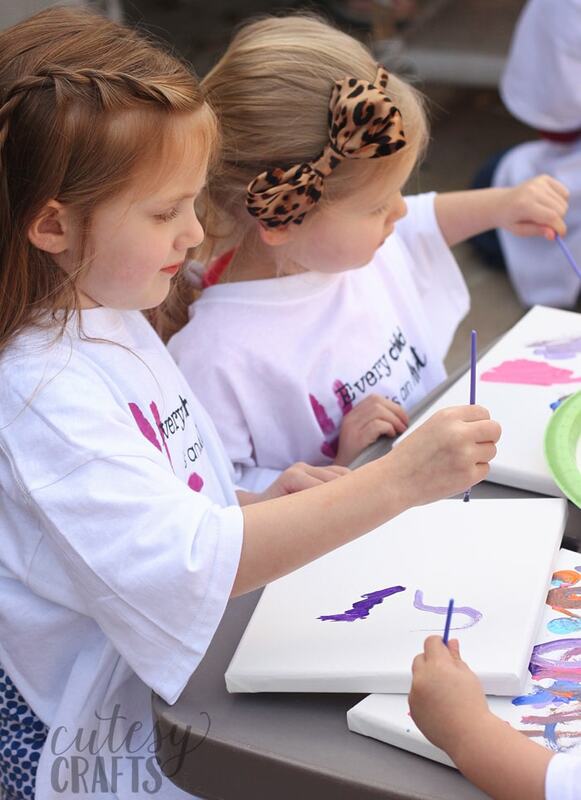 What would an art party be without painting, after all? I wanted something that would protect the kids’ clothing completely, even the sleeves, so I decided to use large t-shirts to make them. 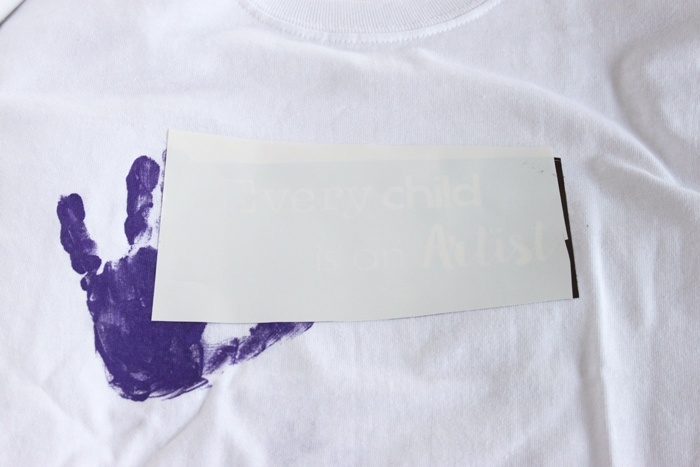 To dress them up a bit, I added Leah’s hand print, and the quote, “Every child is an artist.” I used my Silhouette for the stencil, but if you don’t have one, you can still make the smock without the words. 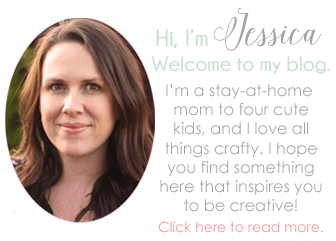 Keep reading because I’ve also got a great GIVEAWAY for you today! To make them easy to put on and take off, I cut open the back and made ties. 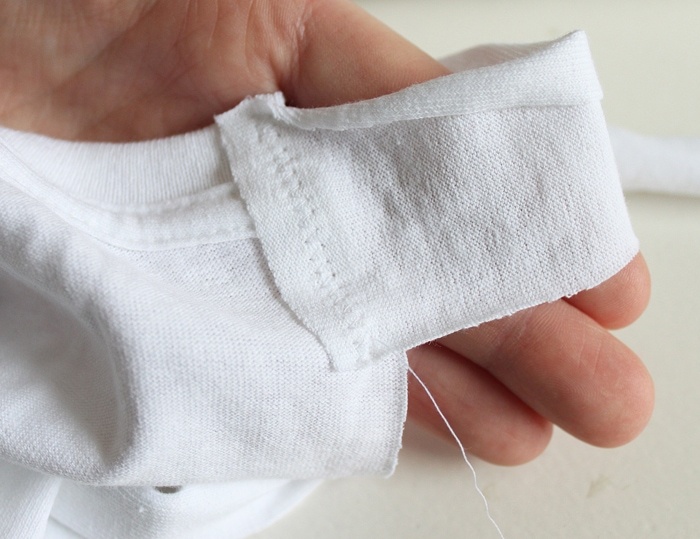 T-shirts are perfect for this since the fabric does not fray. 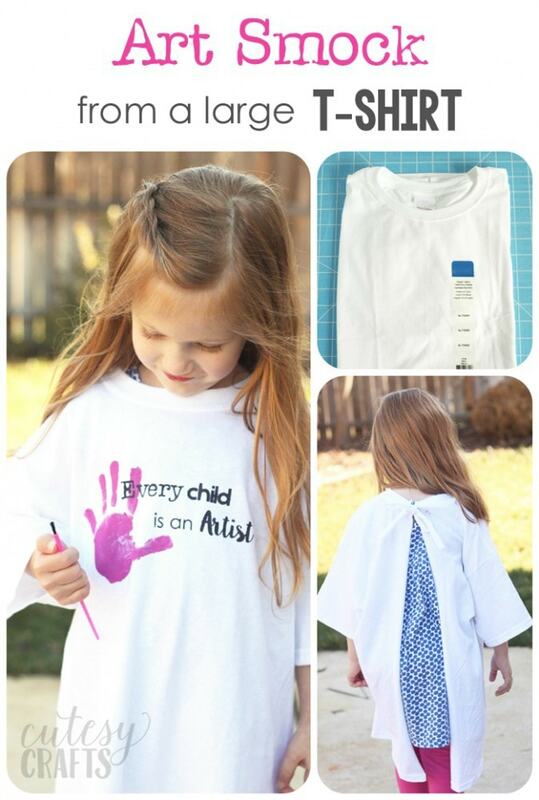 Each of the kids at the party got an art smock to take home. They wore them to protect their clothes while they painted 8×10 canvases. I chose white shirts so that all of the paint they get on it will show. The more paint they get on them, the cuter they become! 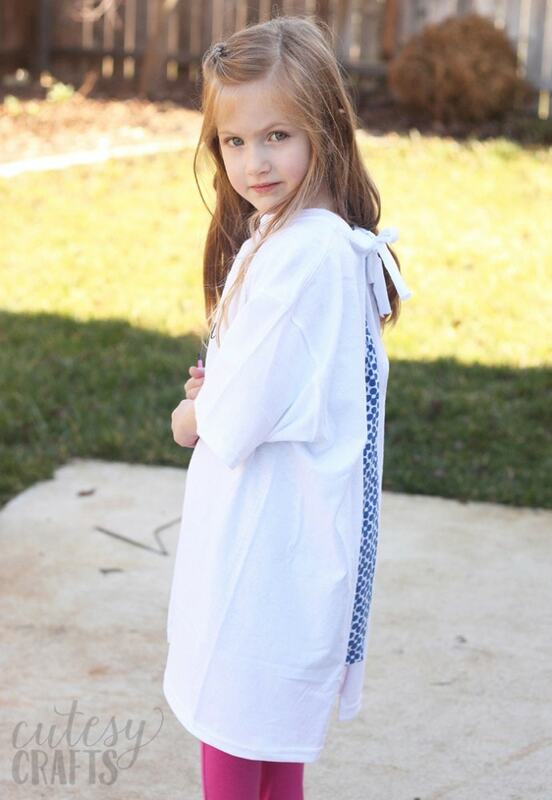 It’s easiest to make your design on the front of the shirt before cutting it up to make the smock. Make sure to slip some cardboard or wax paper inside of the shirt to keep the paint from seeping through to the other side. 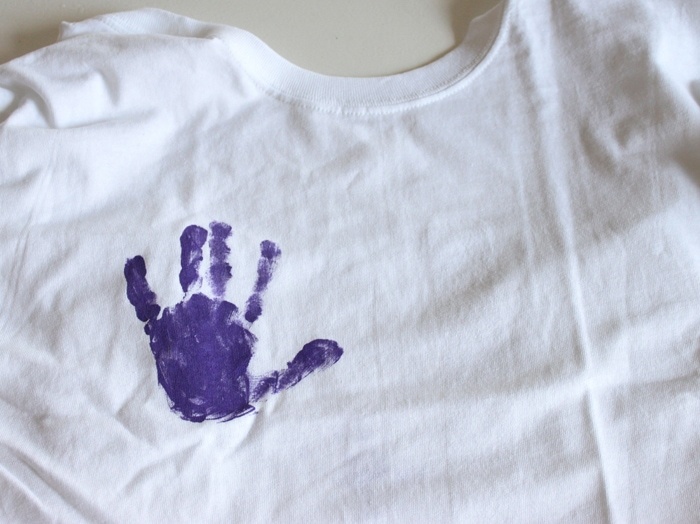 Start by painting your child’s hand with fabric paint and stamping it on the shirt. You’ll want to use a lot of paint and make sure to press down firmly. I used Leah’s hand for all of the shirts since it was her party, and we didn’t have time for each kids to make their own. Cut and weed your vinyl to make a stencil. You could use heat transfer vinyl for this, but I have a lot of regular scrap vinyl, so this was cheaper. 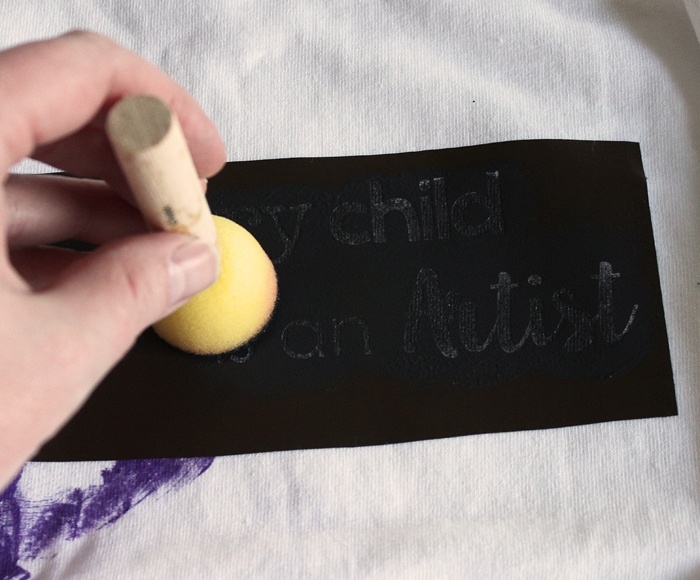 Use transfer tape or shelf liner to transfer the stencil to your shirt. 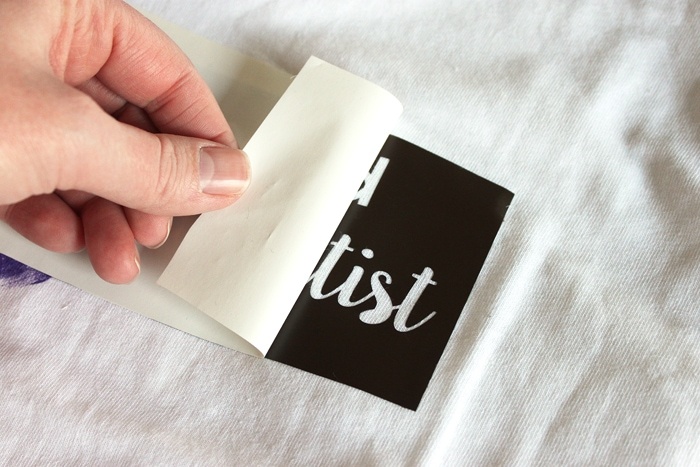 Peel off the transfer tape. Paint over your stencil. It’s better to do a few light coats than one dark one. This helps keep the paint from seeping under the stencil. 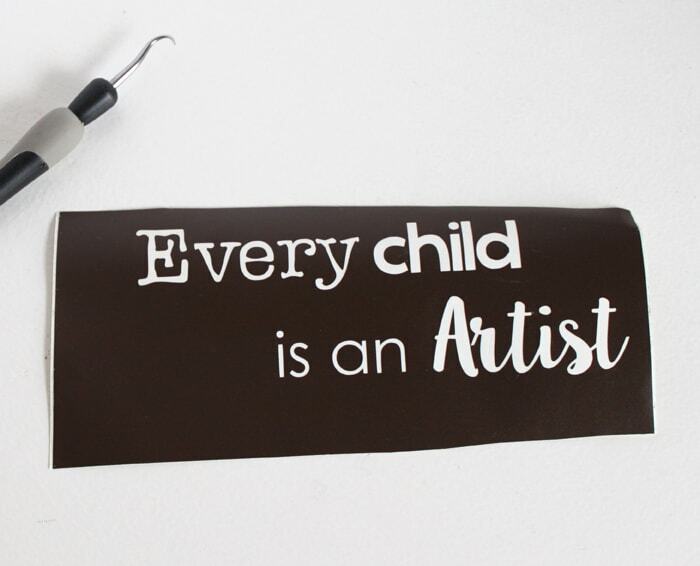 I also like to use a foam stencil brush to dab the paint on rather than brush it. Once that is dry, peel off the stencil and heat set your paint. This usually involves ironing or putting the shirt in the dryer. Now to make the art smock! 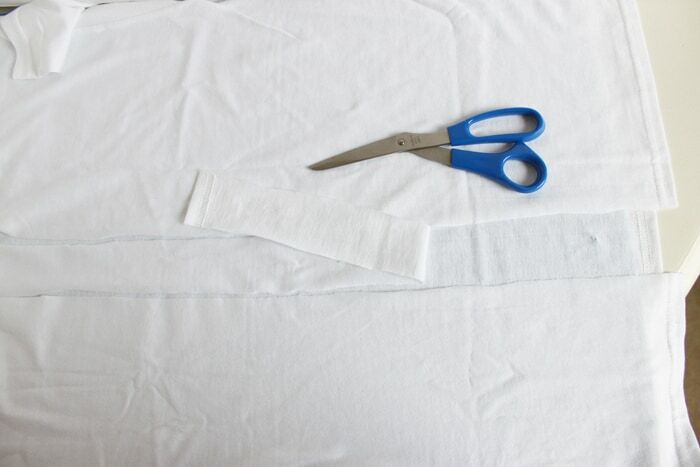 Turn the t-shirt over and cut a 2 inch strip from top to bottom to open up the back. 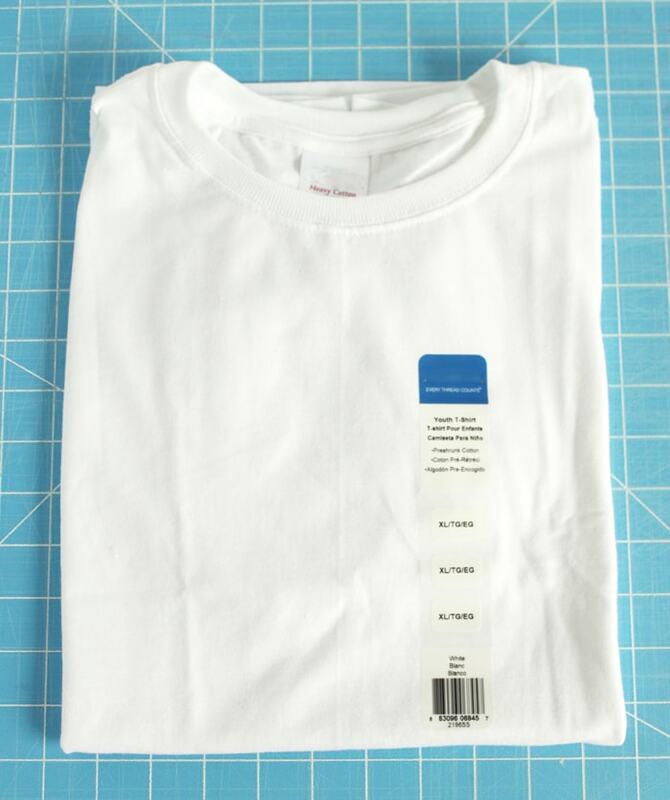 This should go down the center of the back of the shirt and cut off the tag at the top. 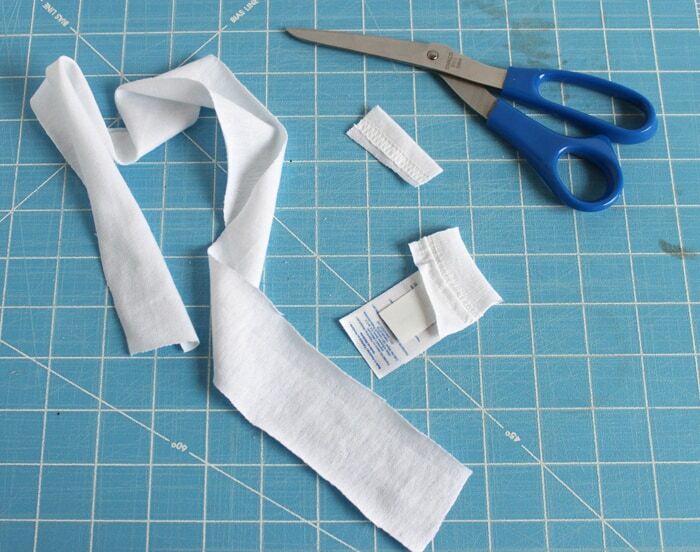 Cut off the top and bottom seams from the strip. 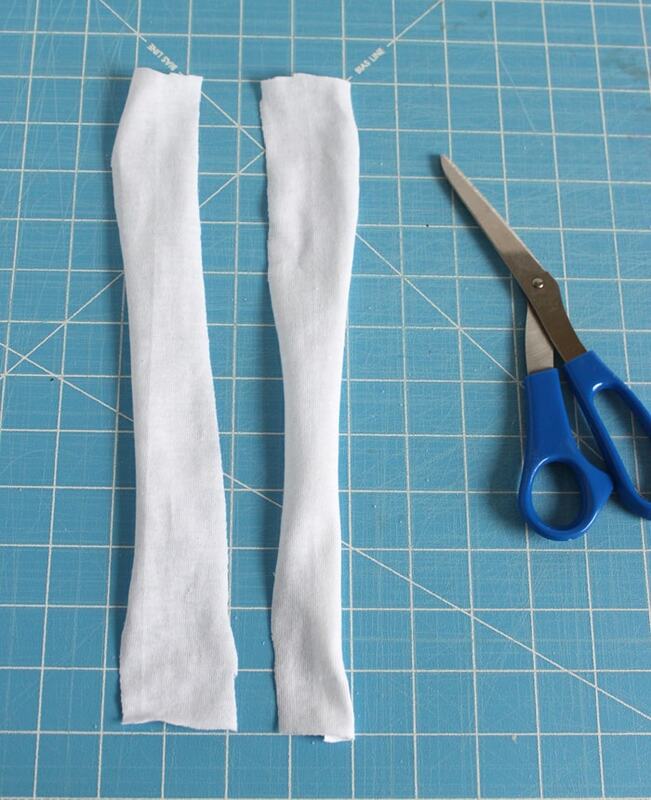 Fold the strip in half and cut it into two equal parts. 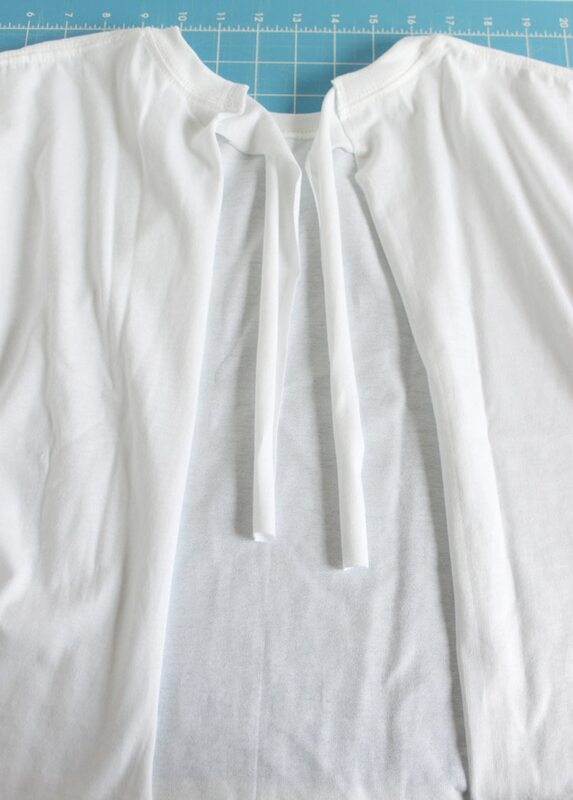 Pin the short end of one strip to the inside of the shirt, at the top, behind the collar. 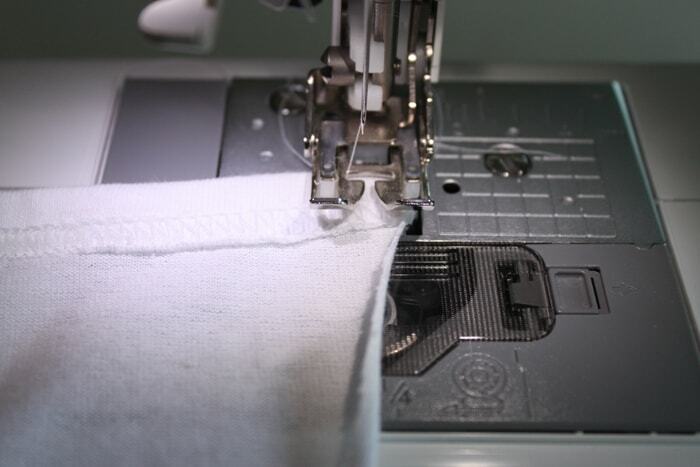 Zig-zag stitch it in place and remove the pins. Repeat with the other strip, on the other side of the collar. 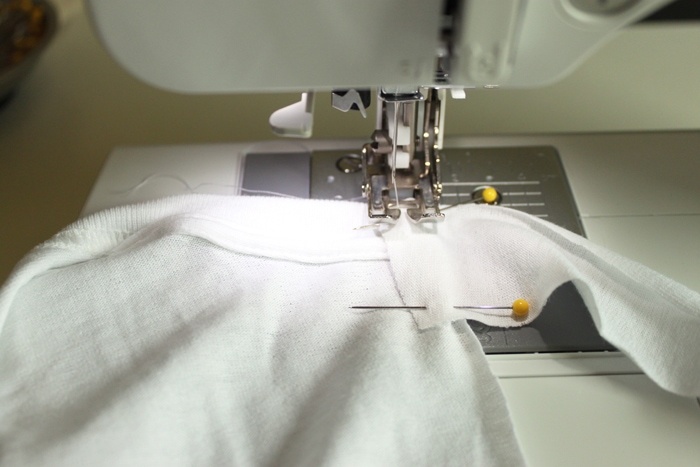 To keep the bottom hem from coming undone, you’ll also nee to zig-zag stitch over it on both sides. That’s it! So easy and very useful! We’ve already used ours for several other projects to keep the kids’ clothes from getting messy. Happy birthday to my not-so-little girl! And I’ve saved the best for last! 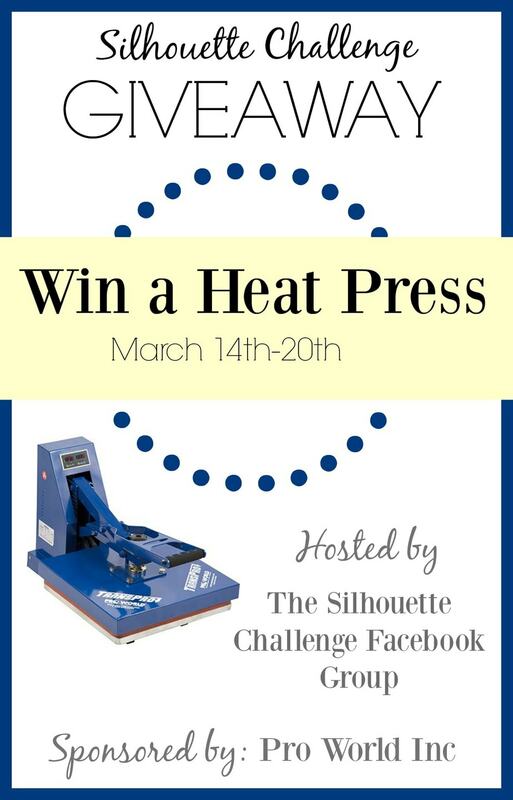 Pro World Inc is giving one lucky reader a Heat Press Valued at $300! Pretty sweet, huh? To enter: just complete the entries in the Rafflecopter widget below. You have 26 potential entries, which means a lot of winning power. So, hurry up and enter! Love the idea of the fingerprint! It’s so cute. I definitely need to make one for my little sister. These are great – pretty and practical. These are SO cute and such a great idea! I should make one for my daughter for all her paint projects around the house. I love how you cut open the back and added a tie, too! The phrase on the front and the hand print is perfect!!! Awww she’s gorgeous and that art smock looks awesome and unique! Love the handprint detail! Love this idea! Such a genius idea! I have seen people just use large shirts before, but I love how this is so much easier to put on and take off.